Foreclosure happens to the best of us. Sometimes, things simply take a temporary left turn and you’re left with a situation where the only option may be to sell your house. This, rather than lose it to a foreclosure. With 20 years of experience buying distressed homes, our expert team of attorneys, title agents and other professionals work closely to ensure that we beat any looming deadlines and buy your home fast. We can do the research to give you an idea as to how much time you have left so that you’re not laying awake at night wondering if they’re going to come and padlock your house the next day. 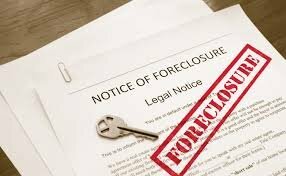 Rather than deal with a fly-by-night outfit who has no experience with distressed situations, take comfort in knowing that you have a team of professionals with more than two decades of helping homeowners avoid foreclosure and sell their home fast.